Betopan cementboard is a combination of cement, wood and safe chemicals, which finds wide application in the recent construction technologies. BETOPAN’s structural properties are highly esteemed from the construction industry. 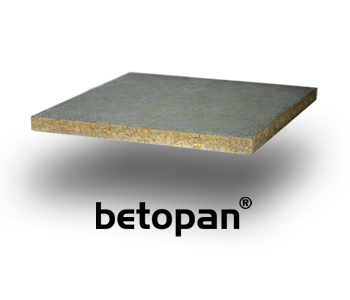 BETOPAN combines the advantages of wood and cement: light in weight, elastic, easy to process, resistant to moisture, water, fire and mold. The usage in wet spaces, internal partitions, wall linings, under – the – roof claddings is like in the dry wall systems made of gypsumboard. Roof applications under tiles: Betopan panel with 10 mm thickness and dimensions 1250/2500 mm may be used instead of wooden slats under the tiles and it’s possible to cover 3 m2 with a single panel, wastage is significantly reduced and the heat insulation is greatly increased. The tiles may be laid on the Betopan panel using the traditional methods. Covering floors in contact with ground – Heat loss of floors is equal to 15% of the heat loss of the whole building and for this reason insulation of floors is important. The application of 18-mm Betopan panel on wooden carcass and application of heat insulation material to 4 – 5 cm spaces caused by carcass provides perfect heat insulation. MOISTURE RESISTANCE The BETOPAN panel is the best material for the external surfaces and wet volumes because of its great resistance to moisture. NON – SWELLING FEATURES The BETOPAN panel is let immersed in water for as much as 28 days, it displays only a negligible swell (1,8%). NON – MOLDING FEATURE As a result of its resistance to moisture, the BETOPAN panel will not develop mold. IMPERVIOUSNESS TO VERMIN The BETOPAN panel is absolutely vermin – proof because of its cement content. 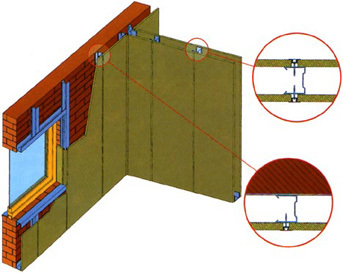 HEAT INSULATION A BETOPAN panel with a thickness of 1 cm will provide the heat insulation equal to 10-cm concrete wall. The heat insulation achieved by a sandwich wall, made up of 8 cm of concrete element lined at both sides with 1 cm of BETOPAN panel is equivalent to 39-cm thick hollow brick wall. SOUND INSULATION The BETOPAN panel displays a very high sound insulation (31 to 35 dB as panel and 45 to 50 dB as sandwich wall). MACHINABILITY The BETOPAN panel is suitable for perforating, cutting, mortising and tenoning. FLEXIBILITY The BETOPAN panel has a flexibility module of 4500 N/mm2. This means that a circle of 6 m in diameter may be formed without fracture. The BETOPAN panel is characterized with absence of such noxious materials as asbestos and formaldehyde. It is odorless, environment – friendly, capable to bear high static loads and resistant to animal wastes, chemicals, gasoline and oils. Factory Production Control is certified in accordance with EN ISO 9001: 2000. The installation consists in attachment of the boards with self taping screws to the load-bearing construction made of C and U profiles like in the case with gypsumboard. The cement fiberboard could be cut with grinder with a stone grinding disc or with circular saw with a blade with diamond tips. Because of the bigger linear expansions it is necessary to form a 5-7mm joint between the boards. It is recommended to drill holes for the self-taping screws in advance. The holes must be with 1,5mm bigger than the screw itself. The hollow for the screw head must be milled. The joints must be processed with ? aluminum or zinc-covered profiles or filled with polyurethane joint filler SIKA FC11 or HYPERSEAL-15M. The distances between the boards fixing given below must be followed strictly. All known paints and painting methods may be used for panels to be used in internal volumes. The paints for panels used in exterior parts or in wet spaces must be alkaline resistant and the panels must be primed. 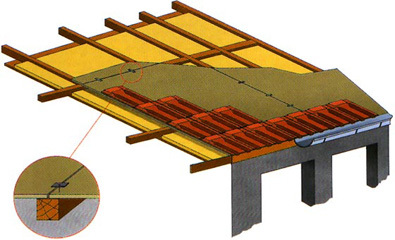 Considering the dimensional movement of the Betopan panels, during the application the boards should not be joined side by side; between two boards a space of 4-5 mm should be left. Owing to the fact that the common ceramic adhesives are obtained by mixing it with water, it can not provide necessary connection to Betopan. For this reason, such kind of applications should be attached on Betopan by using SILICONE. In the applications where the tiles coincide with the connection points of the boards, the material should be attached just on one board considering the individual movement of the boards. The jointing operation should be done as usual.